Dear Students, you are welcome at the official webpage of Student Council of National University of Architecture and Construction of Armenia. We hope that it will enable you to more closely deal with the existing problems in the student sector of the university and be the first to get information on events taking place in this sector. The Student Council is the real platform where any student can find the ways to resolve the issues of their concern, to express their own opinion and positions, to raise the issues of their concern and get full answers. Therefore, the university leadership and the Student Council greatly focus on paying more attention to the student issues and on providing full solutions to these issues. The Student Council makes the geography of its programs more inclusive day by day. 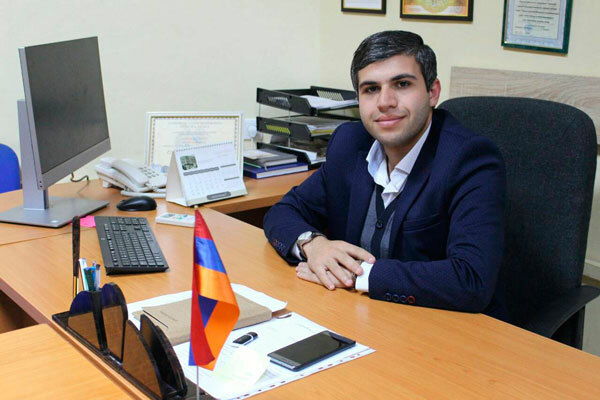 It is proved by the effective work of commission dealing with the issues of Armenian Diaspora and foreign students out of RA and RA borders, actively involving also Armenian Diaspora and foreign students. However, the student issues cannot be solved only with the support of Student Council. The students themselves should be engaged in this process and demonstrate their active participation in the events taking place at the university. Therefore, we hope that through mutual respect and diligence the Student Council will enable to identify the problems of students concern and try to find more efficient ways of solving them with joint efforts and at the same time to best organize the students’ everyday life.